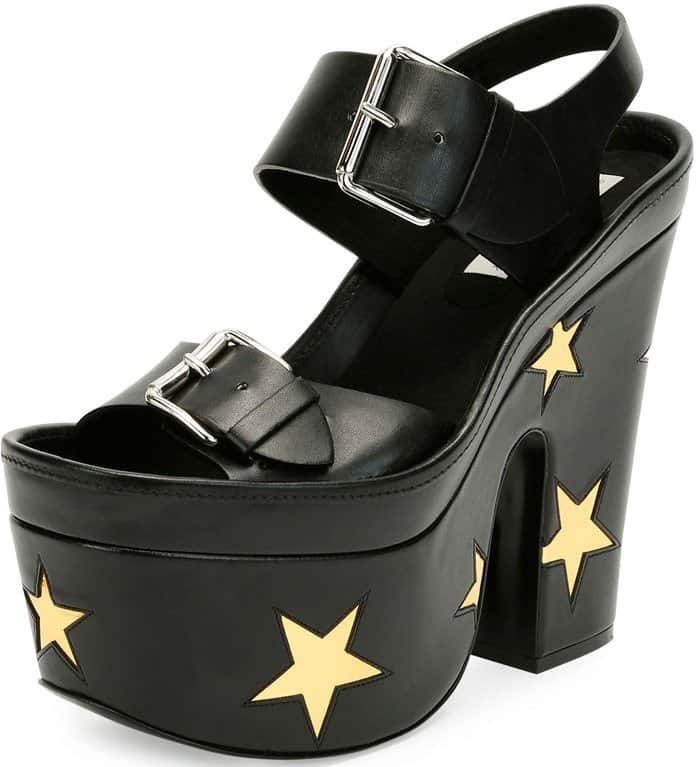 « Who Looks Best in Kanye West’s Yeezy Lucite Sandals? 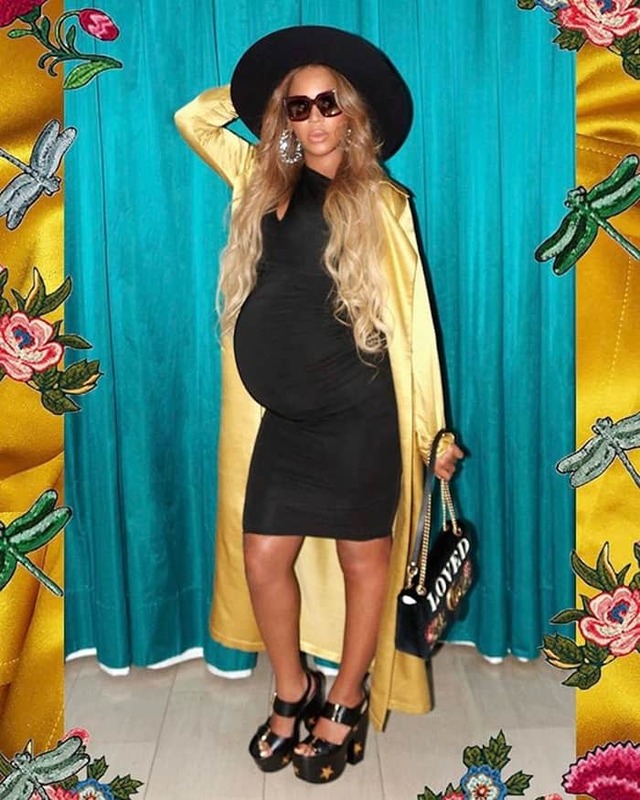 Showing that pregnancy should not stop you from wearing high heels, Beyonce took to Instagram to show off her glamorous maternity style as she posed it up for date night. 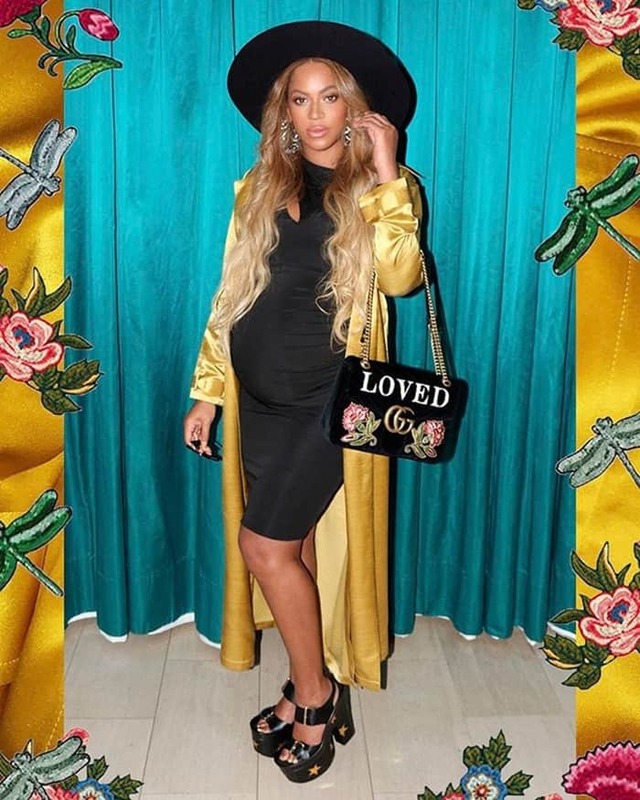 The 35-year-old superstar flaunted her growing baby bump in a figure-hugging long sleeve ‘Aaliyah’ dress by maternity brand Mina Roe and a gold Hellessy trench. She carried a $2,700 chain handle velvet ‘Marmont’ bag from Gucci that is embroidered with the word ‘LOVED’ in white font. 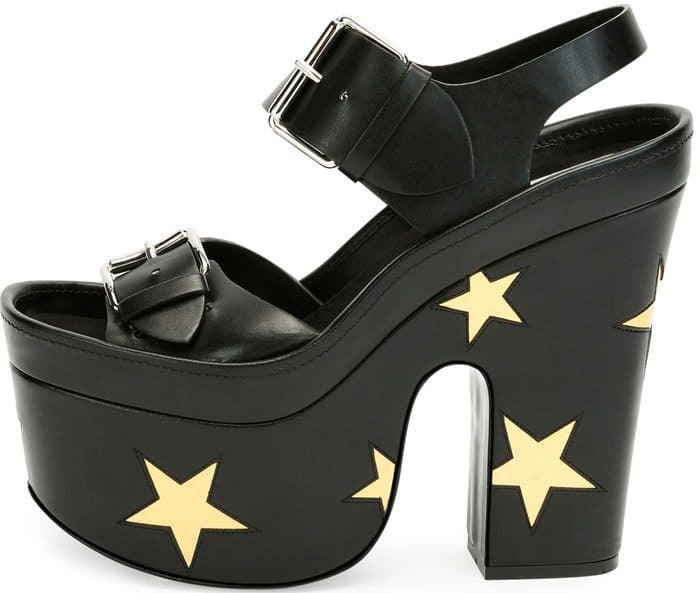 Her maternity ensemble was completed with a wide brimmed hat and faux-leather sandals with laser-cut stars from Stella McCartney (available at Neiman Marcus).